Luxury transportation can raise the bar and enhance any special occasion. Whether it’s a birthday party, the prom, a wedding, or simply a fun night on the town, JMI Limousine Services has the expertise and experience to safely and comfortably transport you in one of our several luxury limos or party buses. Our outstanding, dedicated chauffeurs take serious pride in their work. In order to ensure that your experience with JMI is of the highest quality every time, our chauffeurs continuously go above and beyond the call of duty. No matter where you need to go, we guarantee that you will get there safely and in style. Your wedding day is one of the most important days of your life, and what better way to compliment your magical event than with a limousine ride to and from the wedding? JMI Limousine Services understands just how important your wedding day is to you. We always arrive on time (or even a few minutes early) to pick you up. On your wedding day, you never have to worry about being rushed or your ride not showing up when you book with JMI; our reputation speaks for itself. JMI Limousine also prides itself on always keeping our limos looking pristine- both inside and out. Our staff will also accommodate any additional wedding requests you may have, such as stocking the limo with champagne bottles to pop during your grand getaway. Along the way, our professional chauffeurs will pamper you and see to your every need so that you won’t have to worry about a thing on your big day. Prom is a classic American tradition, a rite of a passage and a coming-of-age experience for high schoolers across the country. For many, it symbolizes the transition from the end of high school into adulthood. Since so many high schoolers are looking to pull up to the big dance in stylish limos, prom season is understandably one of the busiest times of the year for most limousine companies. Our prom limousines come equipped with a stereo system, HDTVs, leather upholstery, and a selection of non-alcoholic beverages. 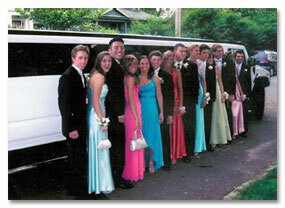 Our experienced chauffeurs’ top priority is ensuring that every prom-goer has a great time in a safe manner. Parents can rest easy knowing that they won’t have to worry about their kids making it home safely. We have never had a single accident with one of limousines or party buses in nine years of operating. 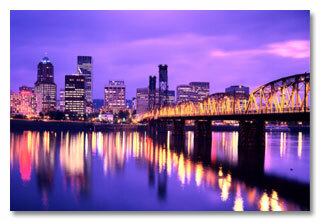 Any party or gathering can benefit from a luxury transportation service. With any event or gathering, one of the most important things to work out is transportation and safety, especially if alcohol is involved. By choosing JMI Limousine Services, you won’t have to worry about anything. You can fully enjoy spending time with your friends and family because we take care of all the dirty work. Have a large group of friends or family going out? No problem. JMI party buses are perfect for carrying large amounts of people (up to 42) safely and comfortably wherever the night may take you. Our limousine services are first-class, and we continuously exceed our customer’s expectations as well as the high bar we have set for ourselves. Whether it’s prom, a birthday party, a wedding, or any other special occasion, your event will be greatly enhanced by adding luxury transportation provided by JMI Limousine Services. Book with us today, and let JMI help transform your special event into a day or night you’ll never forget.